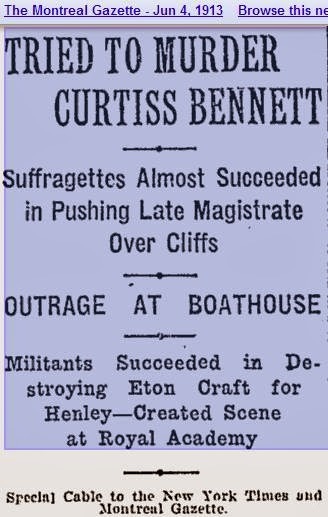 The article clipping and link detail the story of two first wave feminists trying to push a Magistrate off a cliff because he rightfully sentenced many of the other violent feminists of the day to prison-time. He talks about how much fear he lived in and how afraid for his life he was because of them. 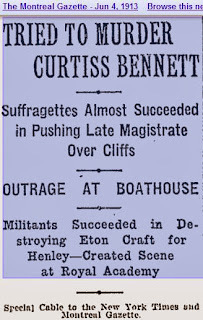 The source is the Montreal Gazette 1913. The evidence keeps coming.